This lamp has 438 pieces and ranks 2 out of 5 on the difficulty scale. The only difficulty factor is the rounded shape of the mold. 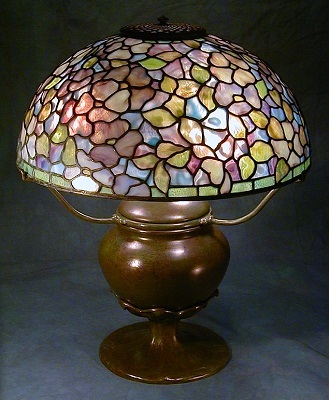 Odyssey Lamp Mold and Pattern for 16" Dogwood Lamp: $156. This design requires a 4" wheel & ring set: $89. 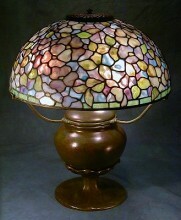 Click the button below to add the 16" Dogwood Lamp Kit to your wish list.